Yoga means union or yoke—the joining of body, mind, and spirit. Yoga is not a religion but a philosophical way of looking at life. Yoga is beneficial for everyone. Many people come to yoga to gain endurance, to lose weight, and to strengthen muscles, yet yoga offers much more. Yoga is a gift that takes us on a journey of subtle awareness into mind, body, and spirit, and here the transformation begins. Yoga works toward bringing us back into a state of homeostasis. Yoga brings awareness to your breath, brings life to your limbs, and soothes the troubled mind. The journey of yoga begins with focusing on the breath so that we can move with awareness through our physical practice, and it is here that we can awaken our senses to gain powerful insights into our body/mind and emotions. At Yoga-cise Studio in Quakertown, we offer classes for all levels and all ages. 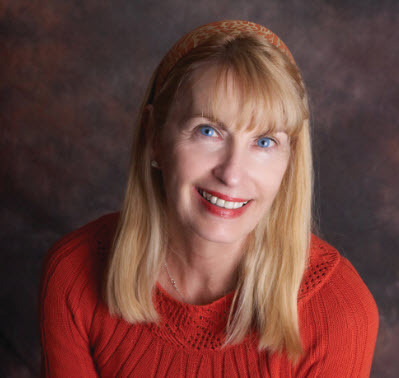 You will find a class that is right for you with qualified, caring instructors. We take the time to address each student’s needs and give individual attention where needed. If you are looking for cardio, the flow class is perfect. Strength and tone classes are great for strengthening those weak muscles. Gentle and restorative classes are great for lengthening the muscles and gaining flexibility and most of all relaxing. Pilates is great for a core workout and is touted as an excellent tool for back health. Some of the many benefits of yoga include: lowering stress levels, relieving anxiety and depression, improving brain function, maintaining a healthy weight, strengthening bones, improving sense of balance, relieving chronic back pain, reducing neck pain, lowering blood sugar levels in diabetics, and improving lung capacity. A Norwegian study has found that yoga’s many health benefits might come from its ability to alter gene expression in immune function. More and more evidence-based studies are confirming that yoga is beneficial as a tool for a healthy lifestyle. Yoga-cise also offers private yoga therapy classes. Yoga therapy focuses on the adaptation and application of yoga practices. The goal of yoga therapy is to empower individuals facing health conditions (at any level) to use the tools of yoga to improve health and well-being. Yoga therapy is a complementary or alternative treatment modality. 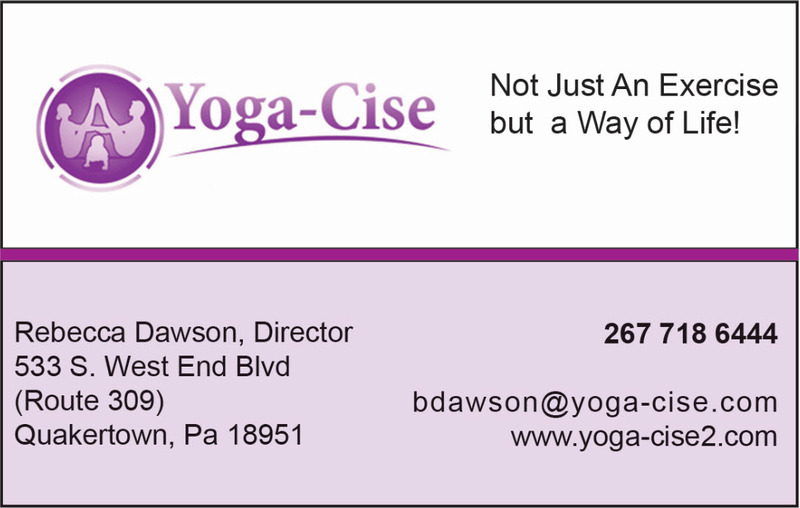 For more information or if you have questions, please email : bdawson@yoga-cise.com or call 267-718-6444. This entry was posted in Bucks County, Women's Beauty, Women's Health, Women's Magazine, Women's Newspaper, Yoga and tagged back health, exercise, flexibility, health, relaxing, toning, yoga. Bookmark the permalink.